Electrons have counterparts in other universes. They have identical - to be precise fungible - counterparts in other universes. Across the entire multiverse, an electron can spread out - like a wave - and so instances of the electron in other universes can interfere with the instance of the electron in this universe. The electron is thus not quite a particle (isolated to a point) and not like a wave (spread out without having anything like a mass and a volume) - rather, it's this kind of "ink-blot" or "blob thing". In the multiverse therefore, this ink-blot has some of the properties that we might associate with a wave and this is especially true when it does not interact with other things. The ink-blot spreads out more (as fresh ink blots tend to do when on paper). It is only when an interaction occurs (so a measurement is taken, say - which is to say information is extracted from the ink blot) that the continuous-type quality that a wave has becomes far more discrete. It's as if you want to take a picture of your friend - and you know they have a body in 360 degrees (or to be even more precise for the mathematically minded: 4π steradians) but your camera is only capable of taking just the front of them (not simultaneously the back of their head or the soles of their feet etc. The information you get from your camera is rather "discrete" but there are many other possible pictures that might have been taken and indeed those other states "back of head" and "sole of foot" states most certainly exist just as much as the one actually observed/measured does). So too the electron occupies many states simultaneously, but not all states can be observed simultaneously (again, to push another analogy: this is akin to the fact that you cannot observe many different times simultaneously. You see a discrete time on the clock, even though you know there must be a continuous number of possible times that have happened and will happen). Alan Forrester explains (though this is my paraphrasing) that an observation or measurement ( which is a kind of extraction of information from the ink-blot) reveals something about that electron which is "discrete" and that is "usually something like a number labelling some blobby state that is highly peaked in position and momentum by the standards of everyday life - it acts a bit like a particle to a good approximation." I think "blobby" there gets across the idea of how the electron, and its states - are across the multiverse. So how does wave-particle duality make sense? It does not and so the so-called "Copenhagen Interpretation" is nonsense. Indeed it is not just false science, but bad science. It says that "you cannot ask" questions about what the electron really is and further that "classical reasoning" cannot be applied so it is a retreat from rationality. It has opened the door to lots of false and bad philosophy. False philosophy is simply philosophy that is not true and that is no great evil. But bad philosophy is. It is a philosophy that seeks to shield itself from criticism and so actively has in place mechanisms that prevent improvements. So unlike what you may have heard it is not the case that an electron can be simultaneously a wave and a particle all at once in a universe. However - any single instance of an electron we observe in a universe (our universe) is a particle with counterparts in other universes and so is most correctly viewed as a multiversal object. This means it occupies many other universes simultaneously and so occupies all physically possible places and states (for example with all physically possible momenta) and it is this which makes the multiversal electron an extended object - a wave across universes. This only makes sense if you accept that universes exist in a higher dimensional space. And this is the only way quantum theory makes sense. It is simply the application of rationality to quantum physics. A higher dimensional space contains all physically possible universes. In this higher dimensional space you can think of the electron as a wave, and not a single particle. It is this space in which the multiverse exists. A slice of which is an instant in time and space. That slice being a single universe. With single particles - isolated to a point. This is additional content needed for a more complete understanding of what is really going on in processes like electron transitions leading to photon emission. Update: Sean Carroll has recently appeared on the Joe Rogan Podcast discussing quantum weirdness. Here's a short clip about that: https://www.youtube.com/watch?v=NR5ODNDtGTA Sean says he is a proponent of the Many Worlds Interpretation but some of the explanation he used seemed to me to be confusing and flawed. For example: he did not seem want to admit electrons are particles - indeed the opposite. 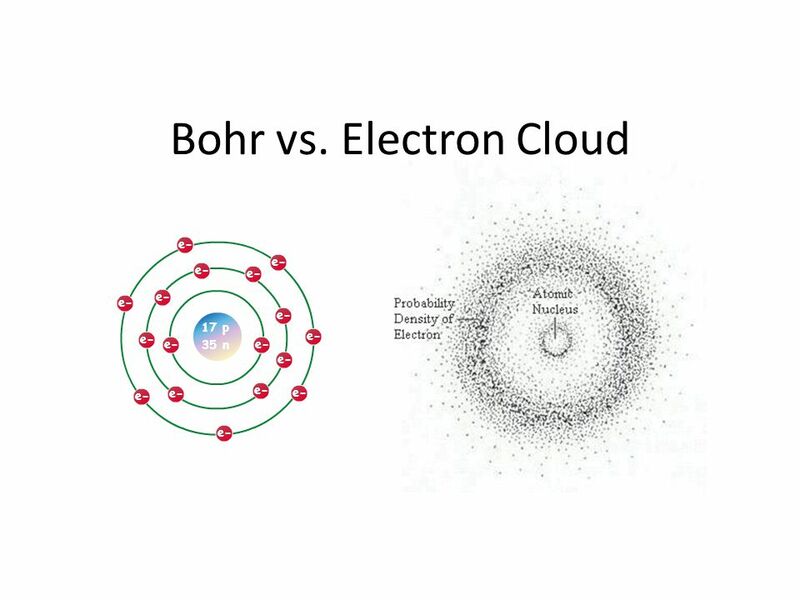 He seemed more keen on saying they are clouds and that the particle view is misleading. But I think that is misleading and to the lay person, confusing. Joe was obviously confused and I think Joe is an excellent critical-thinker who can get all of this if he was interested. The truth is more simple: electrons are particles of the kind I explain above. But, if we had a God's eye view of the multiverse then we would notice that the electron is able to occupy many many different places around a nucleus. And this would seem like a cloud (or rather a cloud of even tinier inky-clouds): indeed insofar as a cloud is (like water clouds) made up of a gigantic number of particles (water molecules) then it's reasonably accurate to call an electron a cloud (or as David Deutsch says in the Beginning of Infinity) - like an ink-blot. But ink blots and clouds are made up particles. That's not merely a metaphor. To say that thing from which the rain is coming is "really" a cloud and "not really water particles" is, I think, misleading. It is, quite literally, both. It depends on one's perspective. The "God's eye view" of the electron is that it occupies many places at the same time because there are many universes and in each universe the electron may have a different position. And, if we could view that situation - the whole multiverse - have the God's eye-view then we would see a cloud (countless trillions of little electrons all in different places). But inky-blobby-particles the electron remains! And there is one sense in which we do have that God's eye view: through the window of mathematics and from the scientific theory that explains what is happening in the multiverse. So I think that in 2017 we can be a little clearer and say something rather like: "The electron is a particle." (this is not misleading and meets people where they are in a common sense way). Then: "But this particle does not exist in only one universe. It exists in many universes simultaneously. And in each universe it may have a different position. If we could have a view of this whole ensemble of universes - we would see that the electron viewed as a multiversal object looks like a cloud. That cloud - the density of it at different points - is like the probability distribution of its position - it's where, if you were assigned to a universe at random, you would expect to find the electron. Of course when you occupy any universe you can only possibly observe the electron at (roughly) one place. Now not only does the electron occupy many places at once in the multiverse (but only one place in any given universe) so too do all particles. Even the particles in your body. Which means you are also a multiversal object of sorts." Sean Carroll, I think, confused the audience by saying he was a MWI proponent while simultaneously doing what he could to avoid actually using it in his explanation. And that's the problem at root. The explanation is what makes sense of the formalism. But invoking the formalism (the wave function and clouds) and not explaining the physical correlates of those descriptions is simply going to confuse. Sean chastised other physicists (famous, TV ones) - and perhaps rightly - for speaking too loosely about all this and misleading the audience. But I think he was equally, if not more, guilty of the same. At one point in that interview right here: http://www.youtube.com/watch?v=NR5ODNDtGTA&t=9m50s Joe and Sean discuss the picture below taken from http://slideplayer.com/slide/4597413/ Sean says that the picture on the right is misleading. Of course it is because we cannot possibly picture all possible positions of an electron. As David Wallace, author of "The Emergent Multiverse" quipped in an interview on "Closer to Truth" - a rough estimate of the number of universes (and hence places for an electron to be) is going to be something of the order of 10 to the power of 10 to the power of 50. So we cannot picture all those electrons as dots. But, here is the point: the electrons are still reasonably well able to be represented by dots. They are quantum (discrete) objects. Not continuous things. But Sean's explanation there suggests that "only" the cloud is real. Not the particles. And so the dots are wrong. But that is needlessly confusing! We could just say: this picture of many universes on the right undersells things: there should be so many more dots that it should look like a darker cloud and each dot, if you could see detail, would itself be spread out in space, like an ink-blot. But Sean complains that the problem with the picture is that it's "pointillist and little dots". But that's fine! That's not the misleading part. The misleading part is simply that there's far too few dots. But we should have no problem accepting that. The "smooth distribution" suggests something continuous -and we know - from General Relativity - that space is continuous. And the wave function from quantum theory is a continuous function too, but the wave function is a model of where the electron could be: and though there's a large number of places, it's not that electrons really are, in some sense, continuously, smoothly, spread out in our universe. That's not the case. They are closer to being point like than continuously wave-like. And there are many universes where they occupy other points. And the wave function is an attempt to model that situation. Electrons are particles. Particles are multiversal objects. They can be in different places at the same time because there exist parallel universes that exist in different states at the same time. Now we probably need a quantum theory of gravity to really come to grips with how it is that an electron can be continuously distributed across many universes - there is an infinite number of points between any two points in space and perhaps electrons can occupy any or all of those infinite number of points. Or perhaps not. That's what reality is. I think it's okay for physicists to speak this way now if they endorse the MWI: the audience can handle it. *Thanks to Alan Forrester for useful comments on my original piece. Of course all errors are completely my own (as is simple poor phrasing and expression). Alan's own site at https://conjecturesandrefutations.com is excellent.